An Easter event for the whole family to enjoy! £1 entrance per person and you can browse the stalls, tea & cake will be available to purchase with free crafts and games for the children. 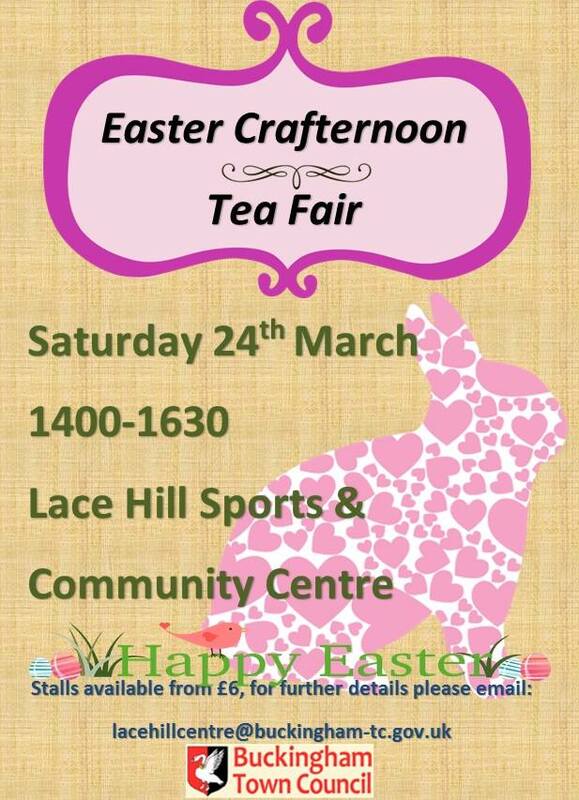 All proceeds go towards the running of the event and all future events held at Lace Hill Sports & Community Centre. This entry was posted in Events, News by office. Bookmark the permalink.